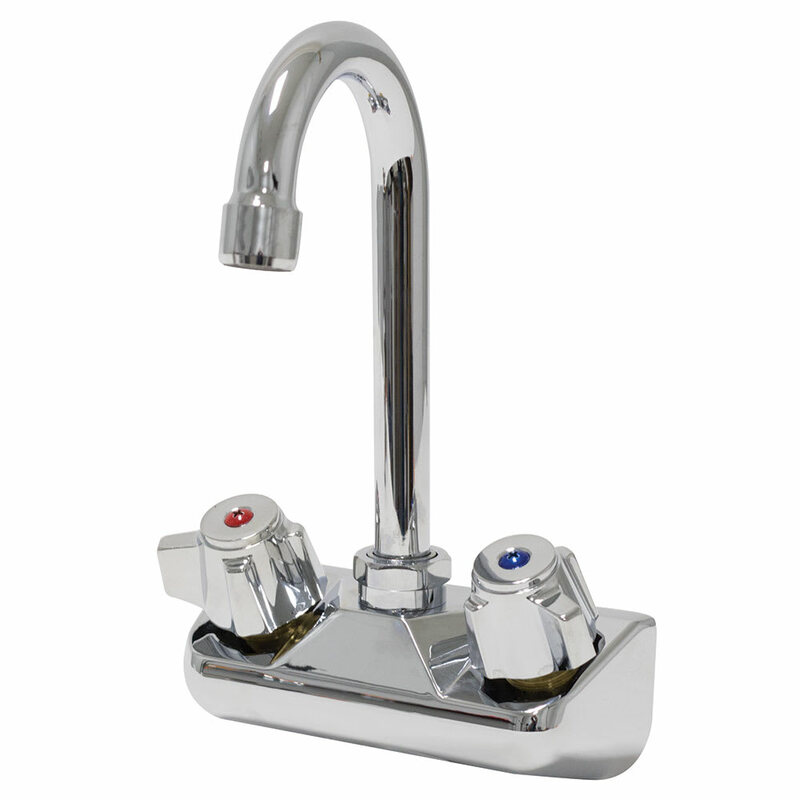 Get rid of that old leaky faucet with this Advance Tabco K-59-EC replacement economy faucet from. This model comes in a splash-mounted design, providing a great amount of space between the faucet and compartment for a much larger capacity. This replacement economy faucet is great for easy accessibility due to its easy-to-use blade style handles. With a tall spout and swivel gooseneck design, the Advance Tabco K-59-EC replacement economy faucet mounts on 4-inch centers. 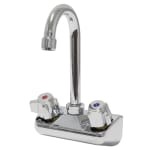 Lite Series Faucet, gooseneck, splash mount, 4" O.C.